“I still love the smell of sewing machine oil,” Donna Griffin recalls. “It takes me back to childhood days while in the sewing room.” Donna (Donna and the Bears) fondly remembers spending lots of time with her maternal grandmother, a seamstress, learning to sew, sometimes without even realizing it. Her grandmother, having grown up during the Depression and WWII, was particularly frugal with her sewing business. That trait appears to have been inherited by Donna, who makes every effort to cut out a bear using every bit of fur. This knowledge helps make her a problem solver when it comes to working with new designs. Donna’s world is certainly filled with memorable experiences and events. After graduating from the University of West Florida, she received a direct commission in the U.S. Army and attained the rank of Captain. She would meet her husband during those years who was also in the military. In the early 80’s, when Donna lived with her husband, Travis, at the Army Post of Fort Devens, Massachusetts, a next door neighbor enticed her to participate in several New England craft shows with various needlework projects. 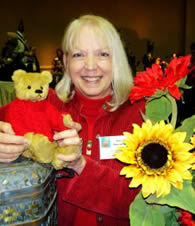 Another friend of Donna’s saw the artist teddy bear movement taking shape in California. She told Donna about a woman who designed and made bears, and Donna thought that would be something she should try. At that time, supplies were limited to what was available at fabric stores and there were very few books on bear-making. 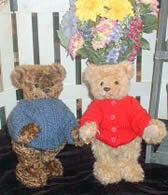 Donna began making bears and selling them at craft shows. When Donna and Travis were reassigned to Okinawa, Japan in 1985, her bear making took a backseat to her duties as a mother and Commander’s wife, as her husband commanded the 1st Battalion, 1st Special Forces Group. Fortunately, that would not be the end of her bear-making days. 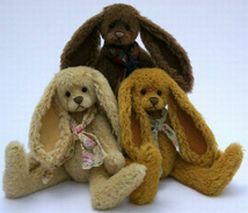 Donna would return later to the United States and resume her business of creating teddy bears. When Spring comes and so do long eared bunnies. 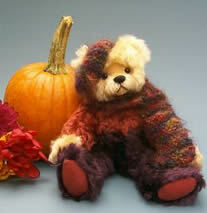 Fall brings bright colors to Donna's bears and exhibit tables. Upon her return, she attended graduate school in Pennsylvania and she received a Master’s Degree in Library Science; working later at an elementary school library in North Carolina. During that time, Donna developed a small business as a calligrapher and artist specializing in pen and ink, and house portraits using watercolors. 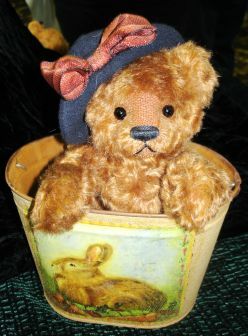 Lucky for Donna, the teddy bear industry continued to grow and evolve with new supply companies opening, wonderful mohair available and several teddy bear magazines that featured this whole new bear world. 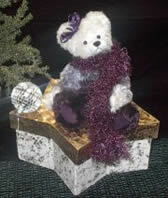 After resuming making bears, she participated in her first show in 1996. 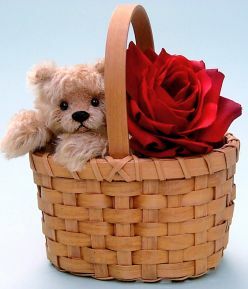 Attending mostly east coast shows now, Donna’s hopes are high that she’ll soon attend several European teddy bear shows. Donna sells bears from her web site and through magazine ads. “I find a combination of these venues helps to reach lots of different people.” Her popularity as an artist is clear. 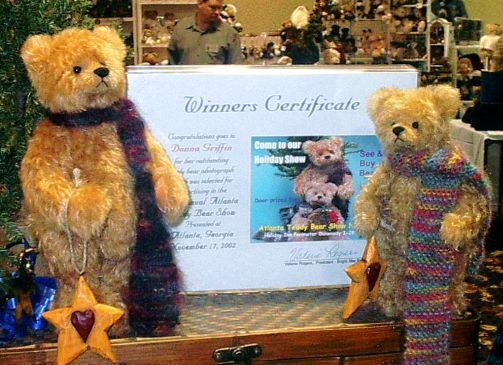 With blue ribbons won in the Artist Category of the Timonium Teddy Bear show, a TOBY Industry Choice Award, a TOBY Public’s Choice Award and a Viewer’s Choice Award at TBAI. There is no denying that Donna Griffin is a treasured artist within the bear community. 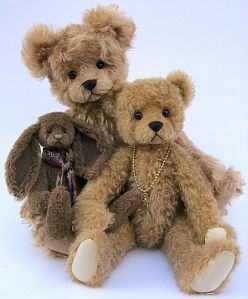 Always upbeat and smiling, Donna creates each bear with meticulous hand-stitching and abundant love. It is evident when looking into their sweet bear faces, that all her creations are unique and special to anyone lucky enough to see or own one. Currently residing in Virginia with her husband and children, Donna has embraced the fun-loving and caring industry. 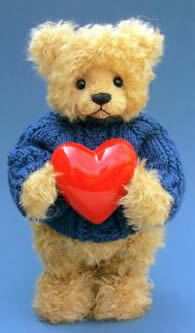 “The best thing about the teddy bear industry is the people: artists, collectors, suppliers and promoters. It is a joy to be part of it all.” And we’re glad Donna is part of it all too. 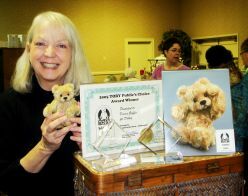 Big smiles from Donna when she won a TOBY Award from Teddy Bear & Friends Magazine's contest. Donna love's fresh flowers too! Donna's bears won placement for the colorful collector's invitation postcards mailed to Atlanta area collectors at a Bright Star Promotions' show.